We would like to welcome you to the Myrtle Beach Resort in Myrtle Beach, South Carolina, the vacation home of the Styffe family. 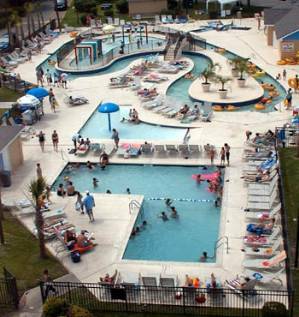 The resort, sitting on 36 beautifully landscaped acres, offers a very relaxing environment that is ideally located only a few minutes drive from the hustle and bustle of Myrtle Beach’s many attractions. Whether you want to walk several steps out the door to an indoor/outdoor pool, sauna, steam room, hot tub.....stroll down to the beach side cabana bar....or play on the beach and in the ocean.....the resort has it all. 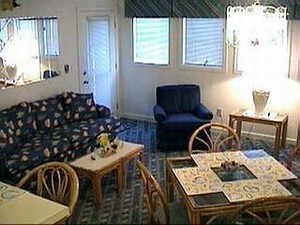 Our condo is setup with many extras to help you feel right at home. You will be surrounded by clean, comfortable accommodations, suitable for up to 6 people, with a TV / VCR unit in the second bedroom to help entertain the children. We also have a TV, Stereo / CD player in the living room, and an answering machine so you don’t miss those calls from home. The kitchen is stocked with condiments to save you from those quick trips to the store. Whether you are looking for a romantic getaway on the beach, or a family vacation spot that has something for all ages, you will find it here at Myrtle Beach. With a seemingly endless supply of restaurants, stores, golf courses, miniature golf, water parks, etc...there is something here to entertain everyone. Please spend some time surfing around our web site to help familiarize yourself with the many amenities that our condo, the resort, and Myrtle Beach has to offer. Let us help bring your family to the ocean at Myrtle Beach and make your dreams of a perfect vacation become a reality. Lazy River & kids Spray land! Lots of fun for everyone! The main living room with queen sofa sleeper. 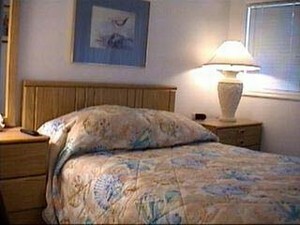 Units are all furnished in sea life motiff for the overall feeling of being by the ocean. Master bedroom with sea shell bedspread. For your convenience there is a TV/VCR combo and adjoining full bathroom. 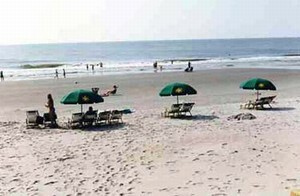 Take your own beach chairs or rent one for a fun filled day at the beautiful Surfside Beach! 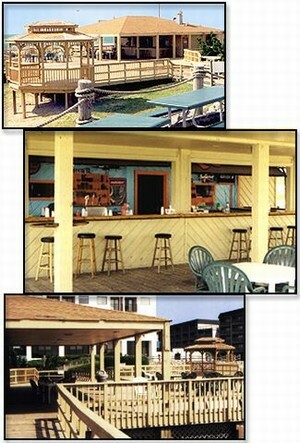 Ocean front Cabana Bar with entertainment in season. One of 6 indoor outdoor pools with adjoining jacuzzi and saunas that are available to guests. 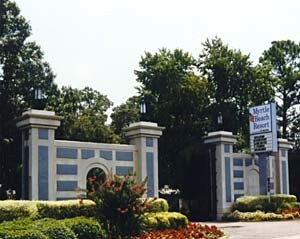 This is the Myrtle Beach Resort Entrance located off of Business 17. 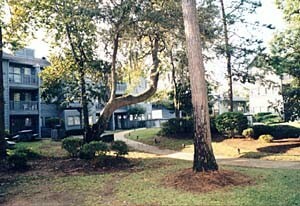 This is the back patio of the condo directly in front of the indoor outdoor pool. All rentals subject to 10% taxes. Rates may change without notice. Harley bike week now available for only $700. Fall Specials will book up fast. Monthly rates for September -December 31 only $750 a month! Deposit: A deposit of $100 is due upon signing of rental contracts to hold reservation. The deposit will be returned when the keys have been returned to owner. Cancellations and Refunds: Cancellation of atleast 6 weeks in advance and another renter found, the deposit will be returned. Anything later than 6 weeks in advance and we keep the deposit. Other Fees: Rental rate plus 10% for taxes and lodging fees.